The album received great reviews in the press and among thrash maniacs but the band felt that the label wasn’t doing enough to push them and asked for a release from their contract to which the label obliged. Big Maaaaan decided that he was going to move to Israel to live with his girlfriend and with no ties to The Netherlands, Superstar Joey Severance packed up and made the move to Finland to find the right guy’s not only musically, but also visually. The band played some local shows supporting Lazy Bonez as well as several supporting Korpiklaani (which Superstar Joey Severance sang lead vocals on their album Manala) and then put the finishing touches on the songs which would make up their next album “Black President”. Tornado entered Studio 33 in Kuopio, Finland this time under the guidance of producer Kimmo Hamalainen to record 10 tracks of their trademark Sleazy Thrash. After the completion of the new album, drummer Jani Niemela announced his departure due to continuing problems in his wrist and was replaced by Niko McNasty. 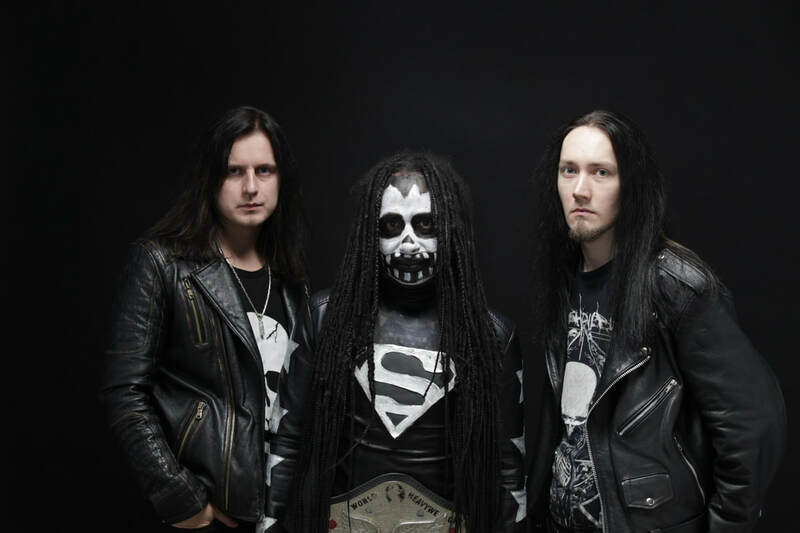 After several months of looking for a new record deal, Tornado signed with Italy’s Worm Hole Death.